"You are doing WHAT?" was what I heard regularly when telling colleagues that I was recording the complete Popper studies. But how did it all happen? When I started teaching at the Musikakademie in Kassel in 2000, I was interviewed for a local magazine. One of the topics was the question of how to motivate students to practise technical exercises and studies. I said that etudes in my view had a far too bad image with most people and that especially in the case of the Popper it had to be said that they were written by one of the greatest musicians of his time. This naturally meant that in spite of their technical difficulties they still were mainly pieces of music and not just a hateful nuisance. If only played with the musical aspect in the foreground and thus proving that it could be done students would hopefully be more motivated to practise them properly and not give up half way through. Recording them could be a first step. Leonhard Scheuch, CEO of Bärenreiter-Verlag, read this interview and when we met at a function in 2001, we talked about this idea and I said I wanted to find a label who would fund and publish such a recording. He suggested that I get in touch with Rainer Kahleyss, owner of Musicaphon (which had been formerly owned by Bärenreiter), who happened to have released my first CD in 1996 (for that story, read about the Martinu Concertino CD). I phoned Dr Kahleyss and asked if he knew who I was. He said that he did because I had a beautiful Martinu recording on his label ... We decided to meet and the deal was struck. Judging from where this went to, I think neither of us has a reason to regret the fact that it happened. 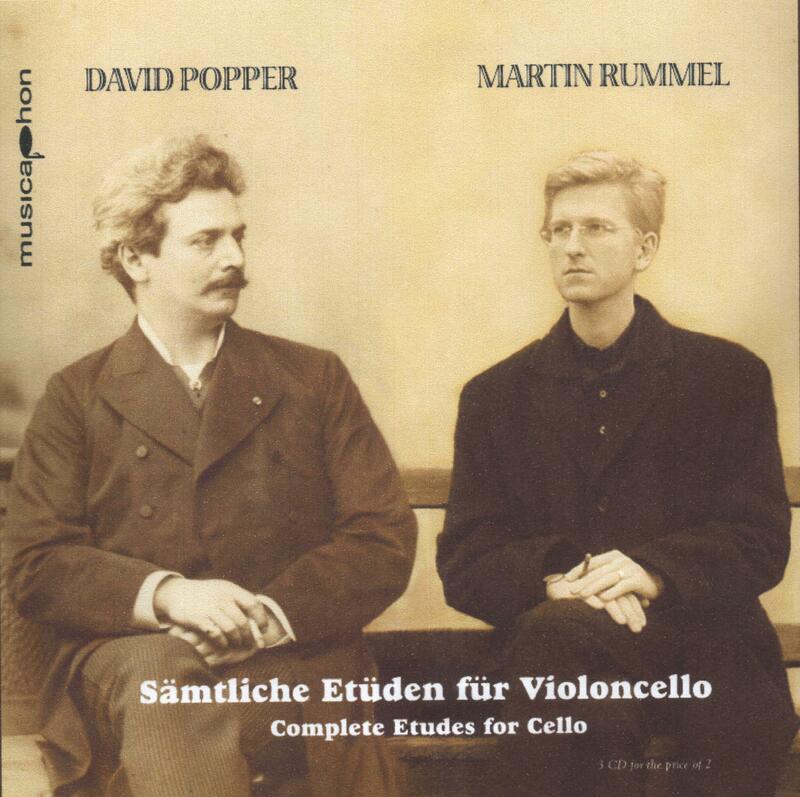 The first CD with the op 76 etudes was recorded in Hamburg, with Johannes Töllner as a wonderful engineer and producer, and I fancied the idea that for the 15 easy studies student and teacher played together as intended by Popper (even if it is the wrong way around on our recording). Sebastian Hartung is a former student of mine who I am particularly proud of and I think he did a fantastic job with the accompaniment. I was living near Bonn at the time and did not want to record twenty etudes of the op 73 collection in one session, which meant that recording them in Hamburg did not really seem very practical. We therefor decided to use Robert Müller in Solingen for the other two CDs so that I could go there more often without great logistic effort to record 10 or even less studies at a time, some of these sessions only being a couple of hours for two or three studies. It was the first set of what was to become the "etude project" and to this day is the only complete recording of all 65 Popper studies. Johannes Töllner, one of Musicaphon's house engineers, died suddenly and far too young of a heart attack in 2004. I feel privileged to at least have done one of the Popper CDs with this remarkable engineer.